In 1911, William Durant enlisted Swiss-born racing star Louis Chevrolet to design a car, and in 1912 the new Chevrolet Motor Car Company introduced its first sedan with a long list of standard features. In 1915, Chevrolet introduced the 490 (priced at $490) to compete directly with the best-selling Ford Model T, and it was an instant success. By 1927, Chevrolet was the most popular American car. When WWII started, the division was building over 1.5 million vehicles per year. 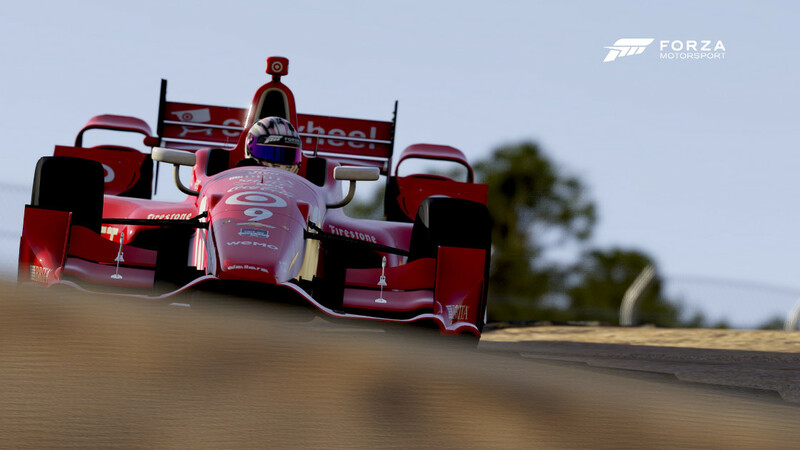 After the war, Chevrolet reclaimed its place as the best-selling brand. 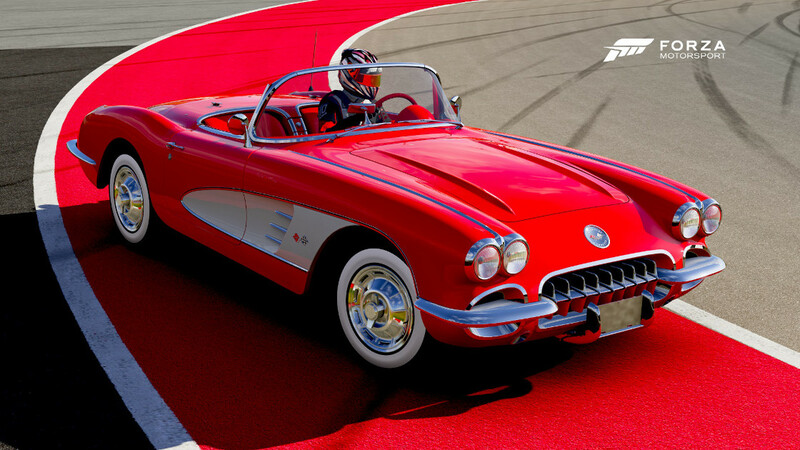 In 1953 Chevrolet launched what would become America's most successful sports car, the Corvette, and when Chevrolet introduced its legendary small-block V8 two years later, it quickly found its way into the Corvette. The 1963 Sting Ray, with its fully independent suspension, added to the Corvette's popularity and competitiveness. In 2009, the company released the Corvette ZR1, which boasts a supercharged 638 horsepower 6.2-liter LS9 V8. The compact, sporty Camaro debuted in 1967, and became another instant bestseller. In 2008, Chevrolet announced the return of the iconic car with the introduction of the 2010 Camaro SS—and logged over ten thousand pre-orders in less than three months. Today, Chevrolet continues to offer a car for nearly every market niche, and the company's nickname, 'Chevy,' shows the popular impact of this brand. As one of the most iconic American cars of all time, the Chevy Bel Air has a huge following in the classic-car community. The ‘57 Chevy is as emblematic of the 1950s as Elvis Presley or Marilyn Monroe and as American as hot dogs or apple pie. The restrained yet obvious fins, classic two-tone paint, and the huge chromed front grill and bumper have all contributed to the Bel Air’s tremendous rise in value over the years. 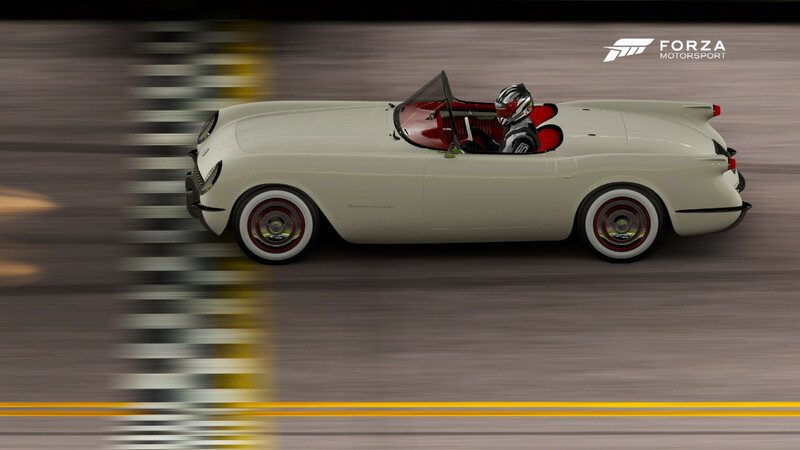 For 1957, the 265 V8 was punched out to 283 cubic inches and, when equipped with the Ramjet fuel-injection option, it pumped out one horsepower from every cubic inch. This was a feat that Chevy deemed as “magic” at the time and claimed to be the first to accomplish. Over the years, many Bel Air models have become hot rods or resto-mods. 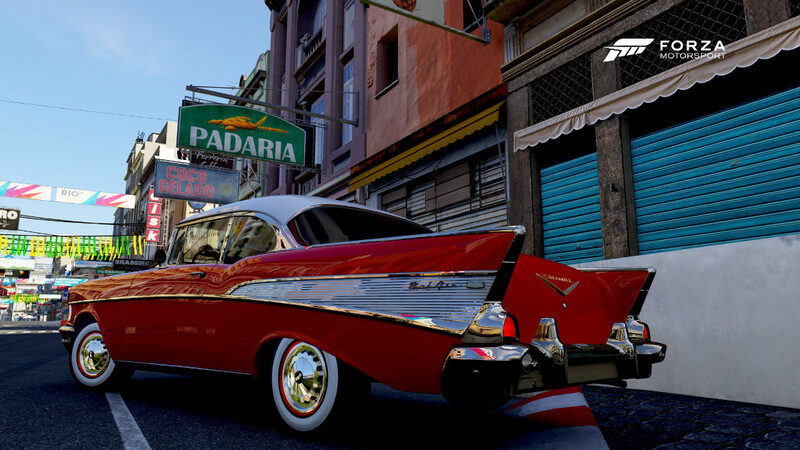 The 220hp four-barrel Bel Air featured in Forza Motorsport 6 just begs to be dressed up to fulfill your hot-rodding dreams. Drop in a huge V8, prop it up with some 20-inch rims, and a give it a flame job, and you’ve got a guaranteed head-turner from Long Beach to Prague. The real star of the early 1960s hit show “Route 66” was the Corvette. Main characters Tod and Buz cruised the open highway in search of adventure, somehow getting a new Corvette every year. 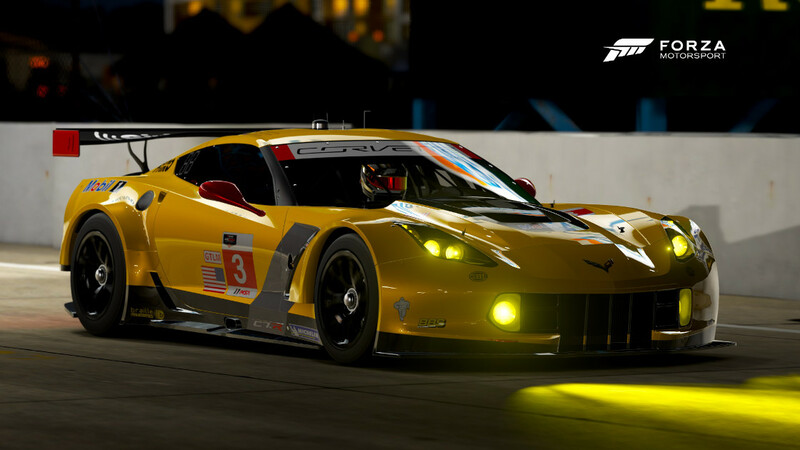 Chevrolet was the series’ main sponsor and the partnership resulted in a starry image for the Corvette. While Corvette sales benefited from the exposure, improvements in performance options continued to make the Vette the American car of choice for sport driving enthusiasts of the era or for those trying to look the part. The most potent option, the 283 Fuelie, would put out 290 horsepower. Connected to a four-speed with Positraction, performance was the best in the business. 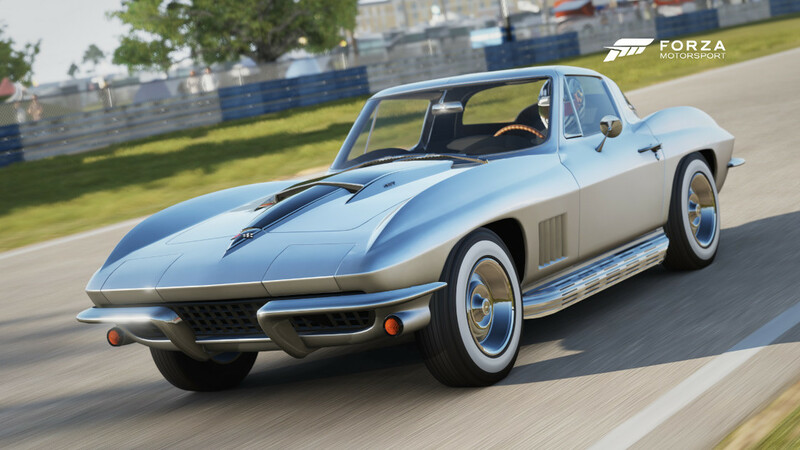 On the outside there were few changes to make the 1960 model stand out from its predecessors or later models until the Corvette Sting Ray was released in 1963. Chevrolet’s engineering and design teams were rightly proud of the 1964 Impala, particularly the top-of-the-line SS 409 trim, but could any of them have imagined that their fast and luxurious full-size would be immortalized in song twice? First, the 409 cubic inch V8 was celebrated in a Beach Boys song called “409,” and then, exactly thirty years later, on the Dr. Dre and Snoop Dog track “Let Me Ride.” In between, countless enthusiasts have preserved or restored Impalas back to showroom condition, or customized them in countless ways. Peel away the phenomenon that the “6-4” has left in its wake and you can see why it’s become so popular despite being so widely produced — more than 880,000 Impalas were built in 1964, including more than 185,000 Super Sports of all varieties. Fewer than this were optioned with the impressive 6.7-liter engine sporting a pair of four-barrel carburetors, which cranked out an astonishing 425 horsepower. That was enough to take the Impala — no small car by any measure, now or then — to 60 mph in a swift 6.3 seconds. 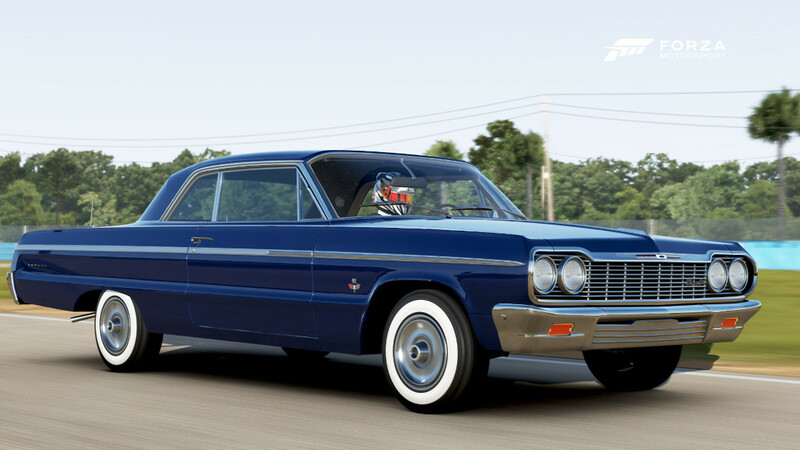 While handling isn’t necessarily the Impala’s forte, it demands respect as one of the ancestors of the later muscle car movement, because without the full-size cars that the high-performance V8s were built for, no manufacturer could have later dropped them into the intermediates that formed the basis of the genre. 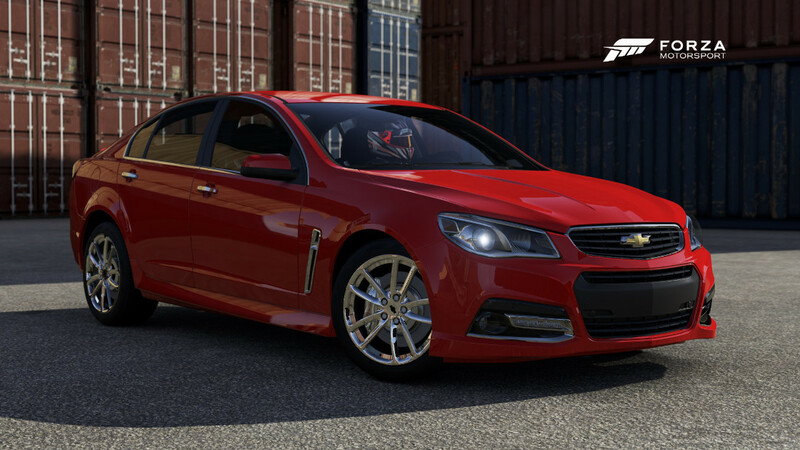 Cultural icon or stylish and fast cruiser, the Impala SS 409 is a lot of car. The Spanish translation of Nova, means “no go,” which certainly has never applied to anything with the SS badge. It’s obvious the team at Chevrolet was going for the astronomical reference to a star’s brightness being on the rise. This early-bodied Nova is a hallmark of early American Muscle and would breed a loyal following of Nova lovers for generations to come. With the exception of the late 1980s re-badged Toyota Novas, the Nova has long been a favorite bow-tie model to hot-rod. 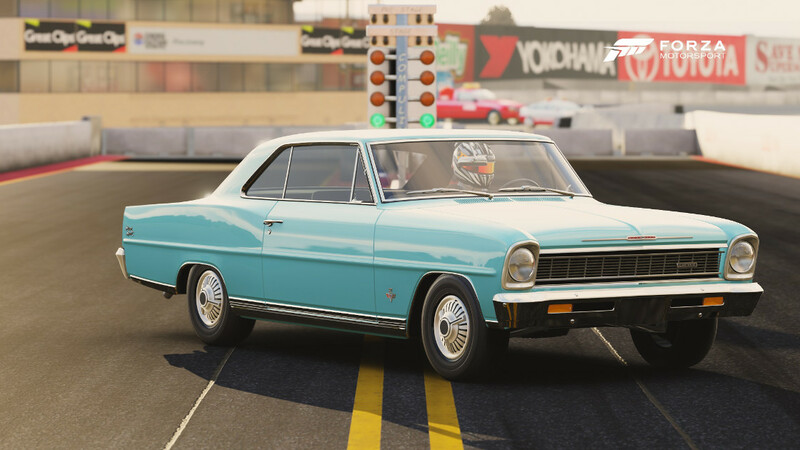 For 1966 the Nova got a restyle that made it sportier and fell in with trends of the era. An almost fastback-like roofline, plenty of bright aluminum in the grill, and deck lid cove as well as humped fenders gave the Nova SS a distinctive look in the “compact” car genre. It could be fitted with any Chevy engine above the four-cylinder all the way up to the 350 horsepower Turbo-Fire 327 and matched with a close-ratio four-speed. 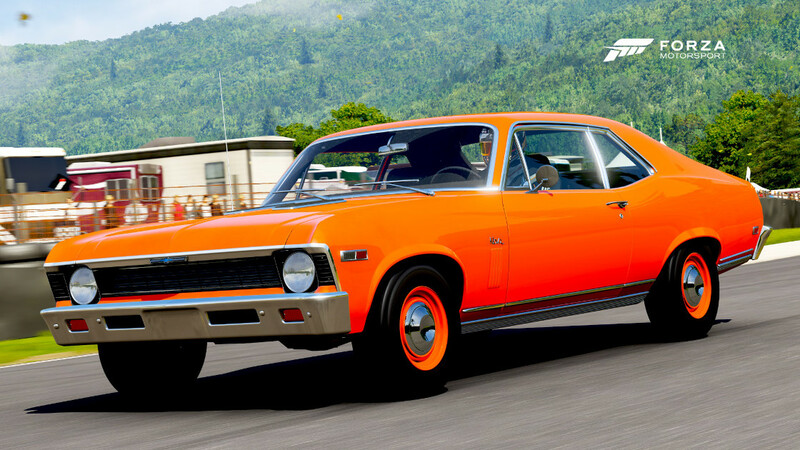 Build your track ready classic or drag strip rubber-burner, the Nova is ready to go wherever you take it. Arguably the most desirable of any Corvette ever produced, the 1967 Stingray 427 had five years of refinements behind it. Under the hood the L88 (if ordered) was as close to a pure-race engine as Chevy had ever offered. Some would say the 427's design is as underrated as its horsepower, we say this is an all-time classic. The ’67 Chevelle SS-396 introduced a number of improvements to the then-three-year-old Chevelle model line, including improved tires, better steering response, and optional front disc brakes. 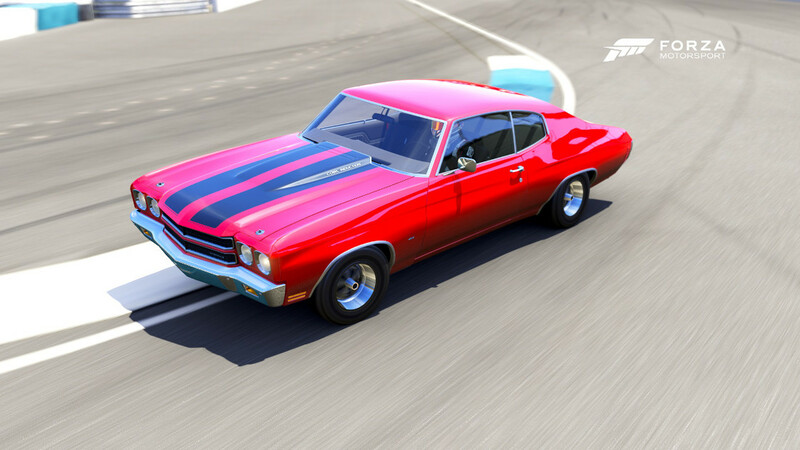 While the three-speed automatic was standard, the Chevelle you’ll drive in Forza 5 features the four-speed option 375-horsepower V8, which was a dealer-installed conversion fitted into just a few hundred of the SS-396 models at the time. 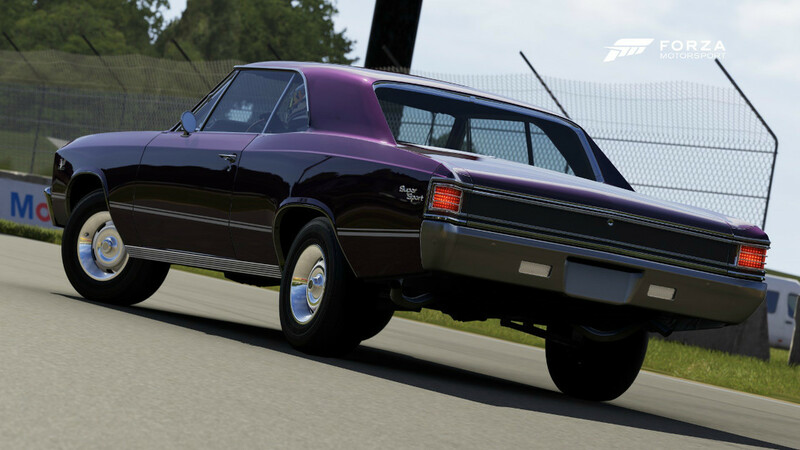 That rip-roaring power pushing a chunky hunk of Detroit steel weighing more than 3,500 pounds makes the ’67 Chevelle a classic piece of American muscle car heritage as well as a car that’s just as fun to listen to as it is to slide around a track. This muscle car can hold its own against juiced up four-cylinder imports. If one ever saw defeat at the hands of a another car, the owner still need only lean against the fender and receive the compliments of all who heard its V8 thunder. In 1969 the SS badge on a Chevy Nova meant something more than just a trim package. It meant a hearty 6.5 liter, V8 pumping out 375 horsepower. At a glance, the SS still wouldn’t turn many heads, but it would snap your neck back when you press the pedal on the right. The phrase “All Go and No Show” comes to mind. Granted, you can dress the Nova up and ride in style, but the SS’s intent was to leave the competition eating its exhaust, plain and simple. 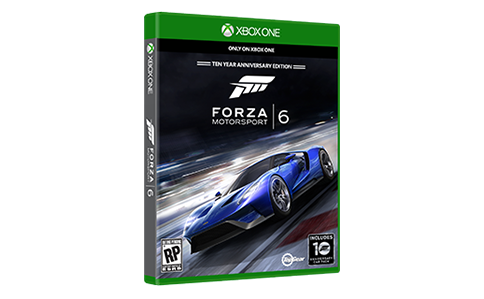 Dressed up or bone stock, you will enjoy its heavy-hitting power and relatively light chassis down the strip or around the track. With a powerful and relatively lightweight (compared to the 396 big block motors) small block powerplant--the ubiquitous 350 cubic inch engine--the 1970 Camaro Z28 debuted both a winning new body and a great motor. 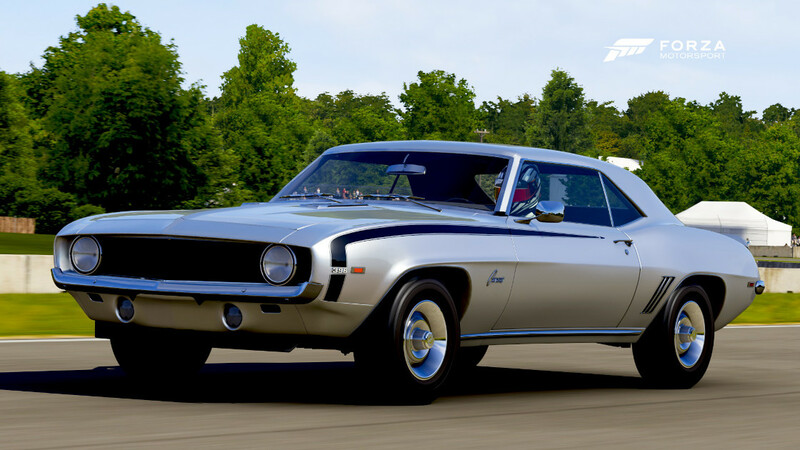 A total package that could be called the best-balanced Camaro yet assembled, the small block produced nearly as much as the 396 (360 horsepower) thanks to a high-flow carburetor and high 11:1 compression. Performance is fantastic, but handling is improved thanks to better weight distribution and better rubber. The early second generation cars are attractive, almost Ferrari-inspired, with a squared-off grille bisected by a chrome bumper, and quad round taillights placed under a large decklid spoiler out back. While the triumph of the new Z28 was clear on the street, for a variety of reasons the new model was less successful in Trans Am racing. However, that hasn’t hurt the value or desirability of these special first-year Camaros. Chevelle means “bold and beautiful” – a well-chosen name for the mid-sized Chevy model that would garner three generations of production. Throughout its life cycle there was a Chevelle made for any buyer’s needs: coupes, sedans, convertibles, station wagons, even the El Camino. Brandishing the SS badge, and packing the potency of the big-block 454, this Chevelle would be Chevy’s entry in the American Muscle car market. In an era where going fast was a battle primarily fought at the drag strip (or stop light) rather that the road course, the SS-454 was a winning choice. Braking and turning take a back seat to this Chevelle’s bone-jarring acceleration, but handling is on par with other mid-size cars of the period. With the Cowl-Induction option, “You can make our tough one even tougher," stated a period brochure. 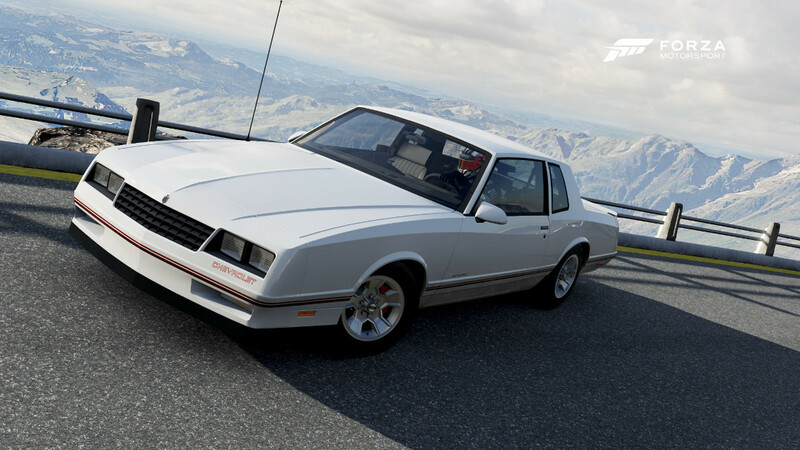 Stomp the gas and the hood scoop opens up to provide a rush of cool air to the intake – it’s one of the coolest animations in Forza Motorsport 5 for sure – and if it makes the SS-454 go faster, well that’s ok too. The El Camino wasn’t the first North American “coupe utility”—a concept that originated and still flourishes in Australia—but it’s certainly the most famous. And the SS 454 was the baddest El Camino to roll out of the factory wearing a bowtie, with a nearly unmanageable 450 horsepower, 7.4-liter V8 out front and very little weight over the rear axle. While not ideal from a traction standpoint, if you can get the rear tires to hook up you’ll be in for a treat, as the El Camino will blow through the quarter mile in less than 14 seconds—stock. The front sheetmetal is shared with the Chevelle/Malibu of the same era, replete with racing-style hood pins, racing stripes, and the blacked-out tailgate insert proudly proclaiming “SS 454” to whatever vehicle is choking on the El Camino’s tire smoke. 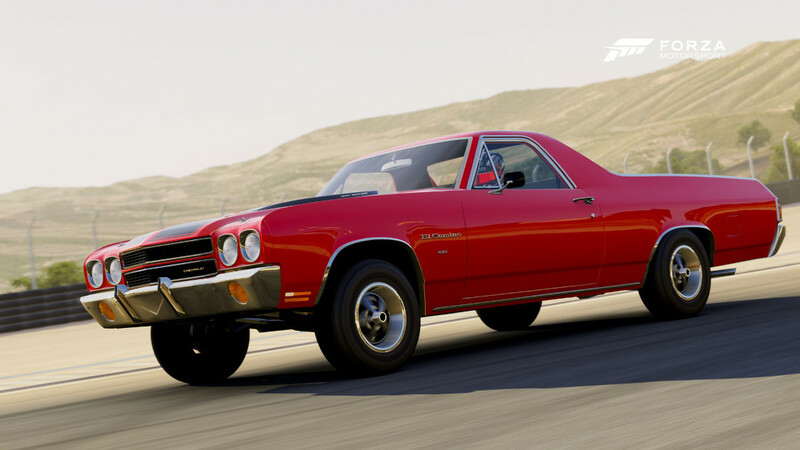 Easily one of the best-looking of the extended El Camino family, it is definitely the most ferocious. While the original “ute” concept pictured a vehicle for farmers to take to church, this El Camino offers the more romantic notion that you could go tear up the dragstrip on Sunday, and haul a load of dirt on Monday. Just two years after GM had transformed Larry Shinoda’s “Mako Shark II” concept car into the luridly curvaceous third-generation Corvette, the ZR-1 package spiced things up further. The special option package took the bigger 350 cubic inch smallblock and bolted up a number of racing modifications, such as solid lifters, to make a full 70 horsepower more than stock. With so much power on tap, GM’s engineers then devoted some attention to making the ZR-1 stop and turn. Bigger power brakes, racing suspension, and stabilizer bars front and rear helped the ZR-1 become the ultimate smallblock-powered Corvette, and gave it superior handling to the big-block cars. While the ZR-1 was an expensive upgrade, it was also a great performer, so it’s surprising that only 53 Corvettes were specified with the package in 1970. That means that in addition to being fast and beautiful, it’s also exceedingly rare—a boon for collectors and auction houses--as well as the lucky few who get to drive the ZR-1. Late 1970s muscle cars are perhaps unfairly maligned. Only look at the horsepower figures that resulted from emissions and fuel economy concerns (as well as a re-evaluation of how horsepower figures were calculated, leading to greater apparent drops in power), and you’ll only get part of the story. 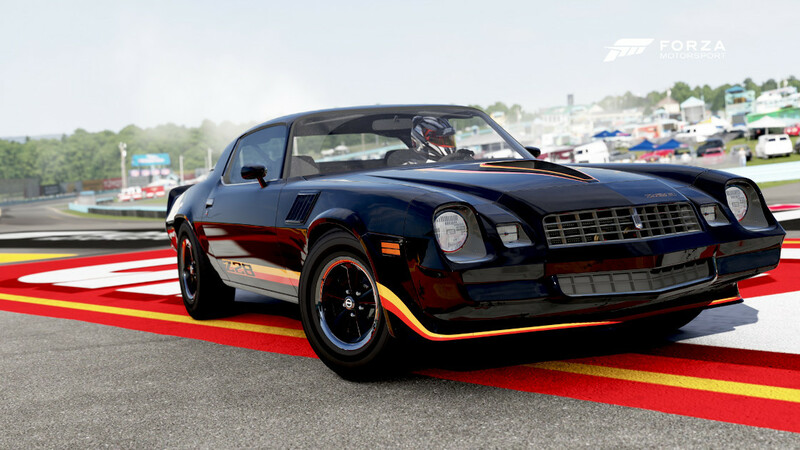 The 175 horsepower that the Z28 mustered in 1979 might distract you from some more important numbers, such as the healthy 270 ft-lbs. of torque that the 350 cubic inch V8 produces, which helps the Z28 reach 60 mph in a very respectable (for the time) 7.3 seconds. Not as fast as a Camaro a decade before, and no showroom-to-dragstrip champion, but on the street the Camaro demanded respect. And sales figures certainly don’t lie about the Z28’s popularity — more than 80,000 of them rolled off the line, all with the standard V8 equipped. No Camaro before or since has sold as many units. Plus, the integrated and body-colored front bumper introduced the year before make the Z28’s sleek and sporting lines, which were nearly scandalously Italianesque at introduction, all the more attractive. 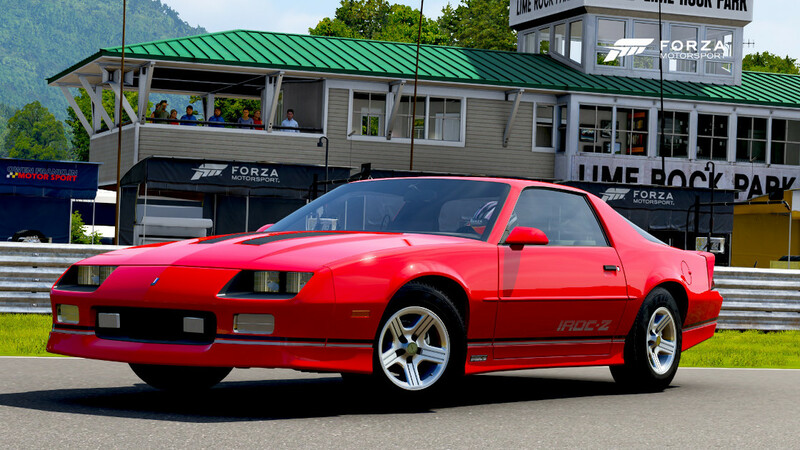 Introduced in 1985 as a way of celebrating the Camaro’s involvement in the International Race of Champions series, a one-make stock car series that put the focus on driver competition rather than car preparation, the IROC-Z lasted through 1990 as the top-of-the-line 3rd generation Camaro. That makes the 1990 the last of the line for the –Z cars, with the final 245 horsepower 5.7-liter V8 residing under the Camaro’s long, louvered hood. Thick anti-roll bars front and back help the Camaro achieve highly impressive skidpad numbers—around 0.90 lateral G’s—despite the antiquated live rear axle. 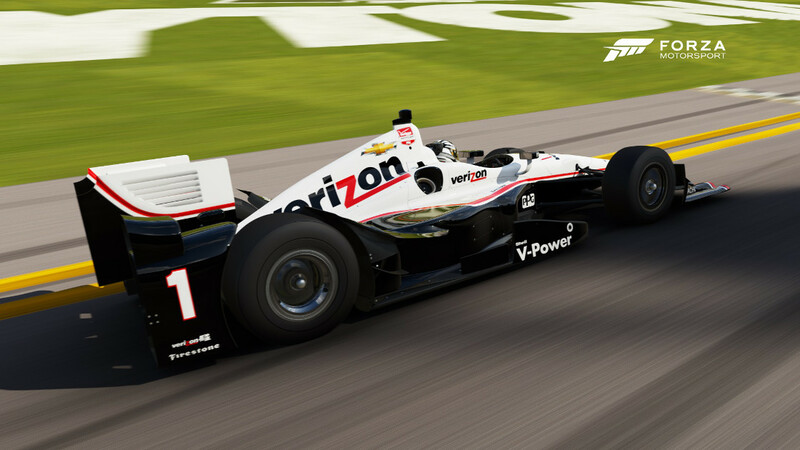 That’s a testament to what eighteen years of continual development by GM’s engineers can do for a platform. It also looks the part of a ponycar, with a low beltline and short deck that presents a nice compliment to the expanding waistlines of more recent cars in this class. 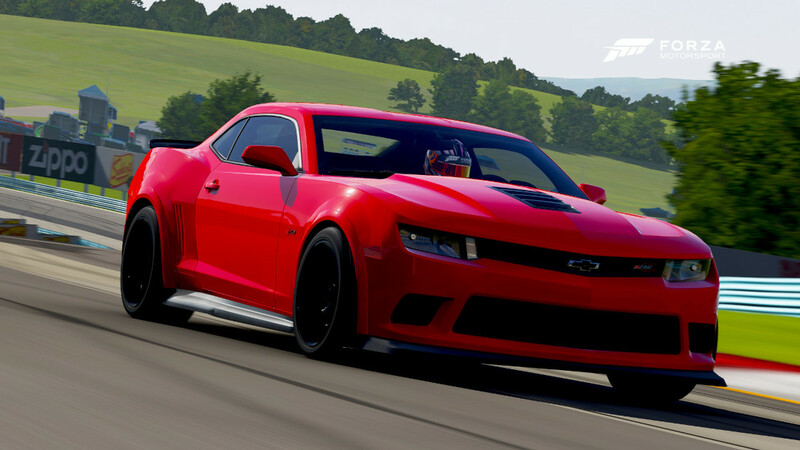 Camaro fans can’t deny that the IROC-Z looks and performers like the ultimate 3rd generation Camaro that it is. 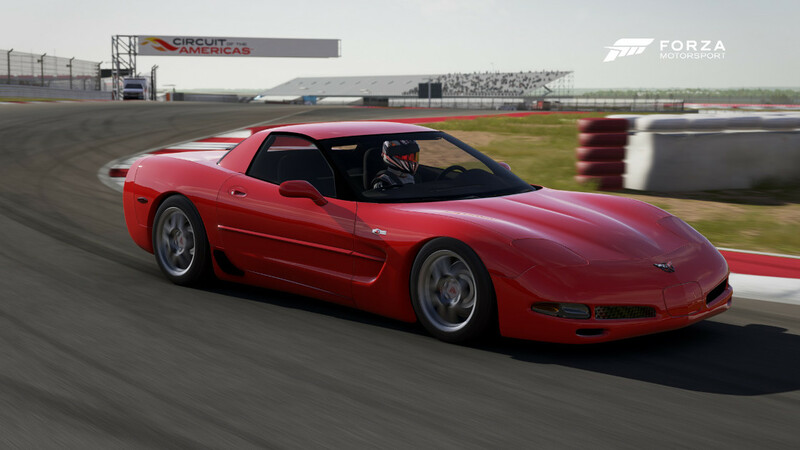 The C4 Corvette languished in performance levels unbecoming its namesake before the introduction of the ZR-1. 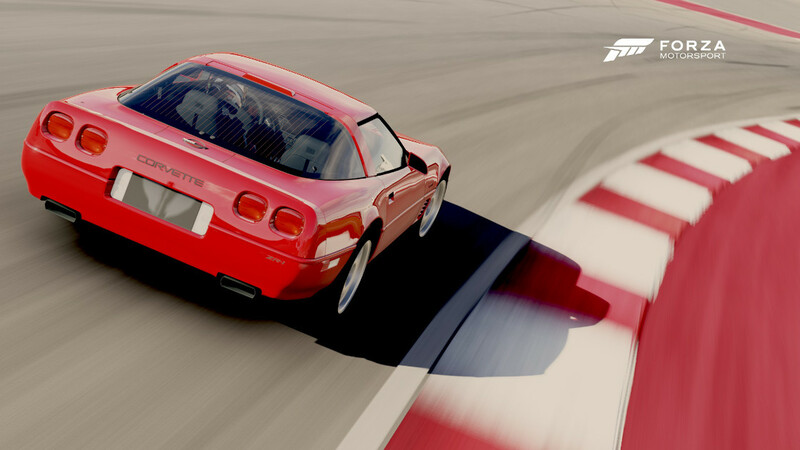 With the standard C4s L98 V8, Corvette owners were getting around 275 horsepower and GM executives were getting frightened of what Japan had in store for the American sports car market. To fend off the possibility of Honda or Toyota building something that would lure away Corvette buyers, GM enlisted the folks at Lotus (which they had recently acquired) to develop a new engine. The idea to build the world’s fastest production car drove the development of the LT5, an aluminum-block V8 with four camshafts and 32 valves. The result was 405 ponies under the hood. 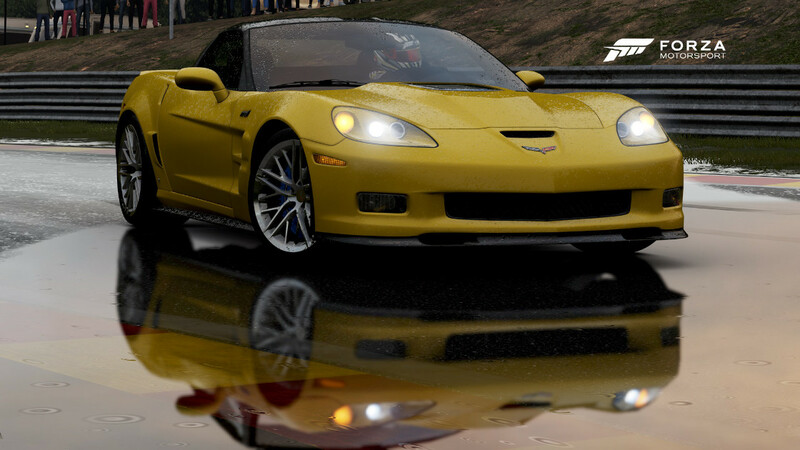 Coupled with the new slick as can be six-speed transmission, and adjustable ride height, the ZR-1 was born. The ZR-1 could post 0-60 times around four seconds and boasted carrying better than 175 miles per hour for 5,000 miles—just one of several endurance speed records the ZR-1 owned. These numbers kept the Corvette on top and generated a resurgence of interest in the base Corvette as well. ZR-1 owners are very enthusiastic about their cars, not only due to the premium they paid for the ZR-1 (you could by two standard Corvettes for the price of one ZR-1) but they dub it as one of the best sports cars in the world. 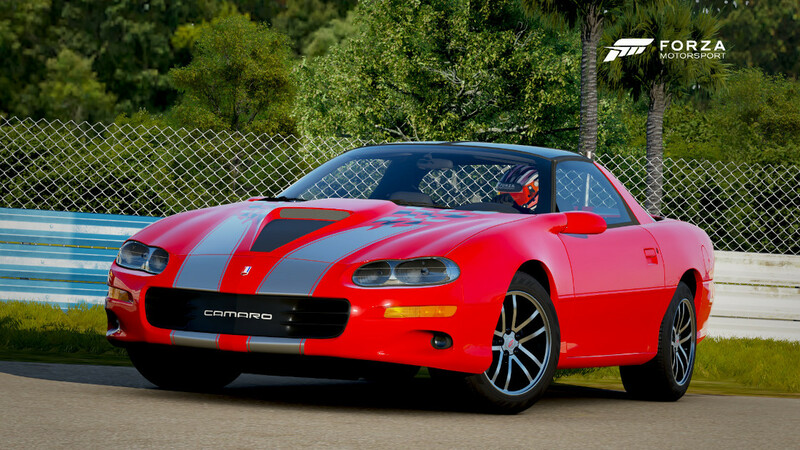 The last F-body Camaro produced is the 35th Anniversary, a special option package for Camaros that had the SS performance package equipped, making it an instant collectible for Camaro fans. The 35th Anniversary included special graphics, pinstripes that “dissolved” into a checkered flag design, special badging, and most importantly, a 5.6-liter LS1 engine (which also saw duty in the Corvette). Producing a stout 325 horsepower, the ultimate fourth-generation Camaro had the performance to back up the unique look of the car. 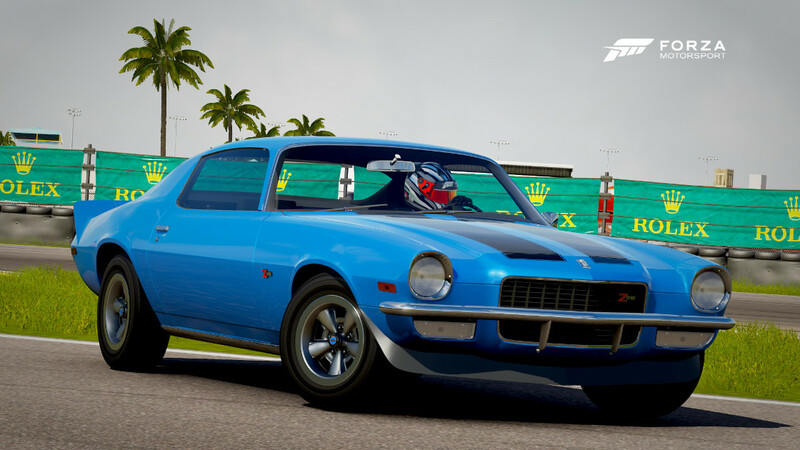 It goes without saying that with the SS engine option, the Camaro is fast, but the mid-13 second ETs it can pull dead stock put it in the running not only with modern muscle cars, but some of the best classic muscle cars as well. It’s the perfect sendoff to a car that has recently been resurrected to great acclaim, no doubt in part to fond memories of this generation among the enthusiasts at Chevrolet. With the Corvette’s 50th anniversary right around the corner in 2003, GM gave the 2002 Z06 a little tweaking that resulted in horsepower just over the 400 mark. It wasn’t rocket science that delivered the boost either, they just let the LS6 breathe a little freer and gave it a higher lifting camshaft. The rear shocks were slightly modified to improve handling even further. 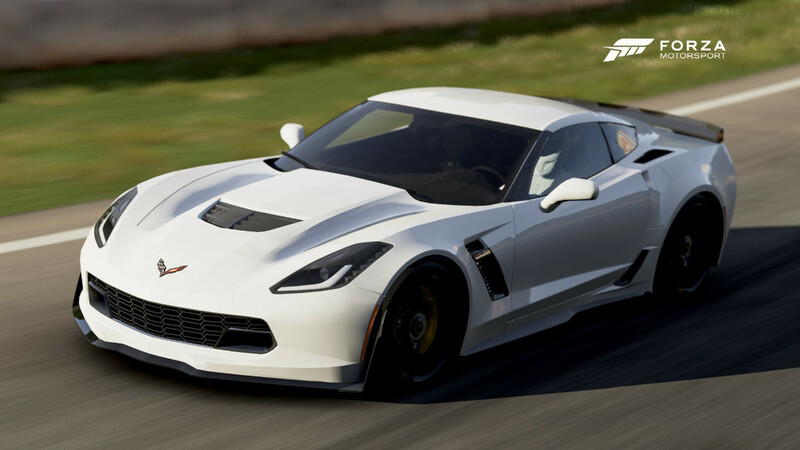 Overall, the Z06 has more performance than the average driver will ever tap. The notchback form is exclusive to the Z06, and while it may hinder those looking to hike their golf bag around, the look sets the Z06 apart. Most Corvette owners aren’t necessarily chasing value but, for the price, there is simply nothing else in the same class as the Corvette Z06. If the ZR1 didn’t exist, driving enthusiasts everywhere would still be celebrating the amazingness of the latest Z06. But the ZR1 is real, and no one can ignore the 638 horsepower gorilla in the room. The ZR1 packs the most powerful engine that GM has ever put in a production car, and it’s not simply for show: how does a quarter mile time of just a bit over 11 seconds strike you? Or a top speed exceeding 200 mph? 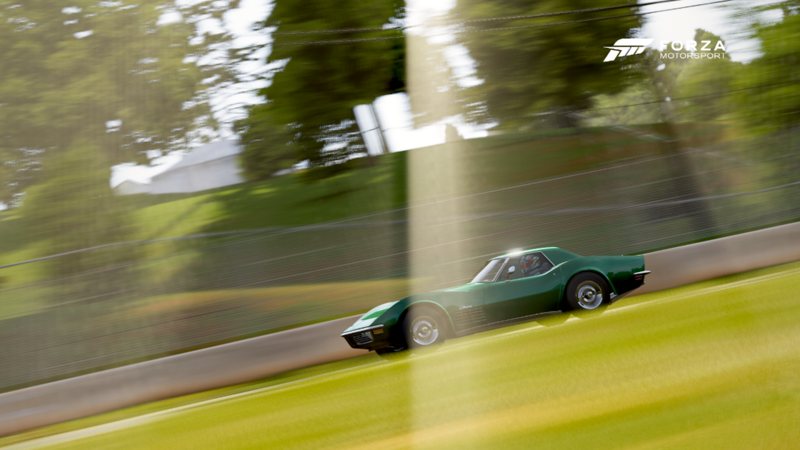 Factor in some adaptive suspension that continually adjusts to road conditions, massively sticky rubber, and a weight-saving cocktail of aluminum and carbon fiber, and you’ve got a Corvette that doesn’t just mix it up with the European exotics—it blows them away. The source of the ZR1’s superpowers is visible from the outside: peer through the clear polycarbonate hood window and you’ll see the dual intercoolers sitting atop the supercharger, feeding copious amounts of boost into the LS9 smallblock. Acceleration is savage, but it’s not as unruly as you might expect, and in the hands of a respectful driver few production cars can equal the ZR1’s sub-eight minute lap around the Nürburgring, perhaps the harshest real-world test of any car. 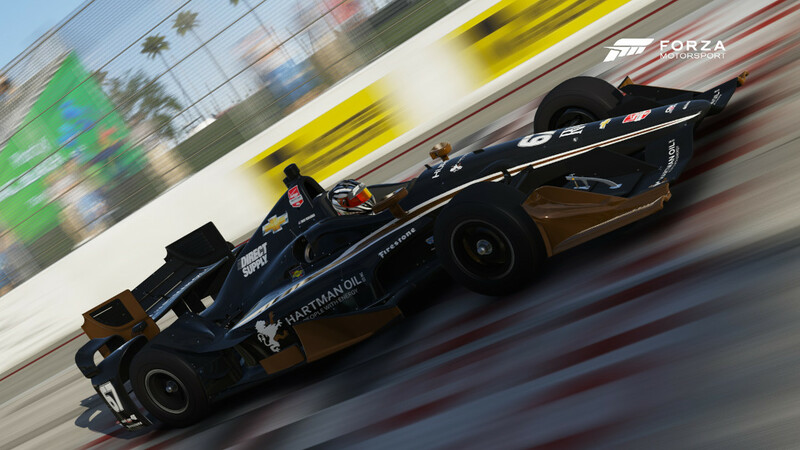 Do you have what it takes to master the fastest GM vehicle ever?